The statistics don’t lie. Home burglary rates are high. 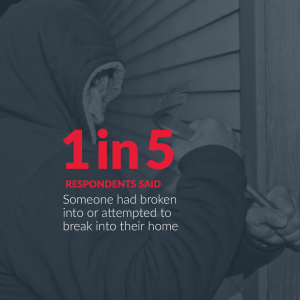 According to a survey of 1,000 Australians, 1 in 5 people have had experienced a burglary or attempted burglary. When compared to the rest of the world, it’s clear we have a problem. The international average of home burglaries is 1.8%, and ours is 2.5%. This means that 1 in 40 Australian homes may be burglarized this year. These figures are startling, but you can take action to avoid becoming another statistic. Here are 4 easy ways to proactively protect your home. With these tips, you can safeguard your family, property, and home. 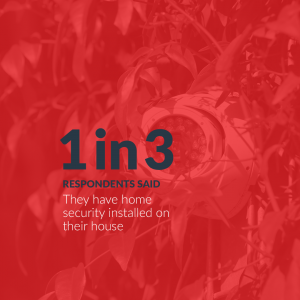 Only 1 in 3 people from the above-study responded that they had a home security system. However, the presence of a home security device is a powerful deterrent for a would-be intruder. A study by the University of North Carolina found that 60% of burglars would be deterred by the presence of an alarm. 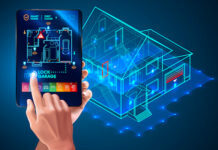 Technological advances have now made it easy to install home security. As a leader in the DIY home security space for over 30 years, Swann is dedicated to helping keep your home safe around the clock with affordable solutions. Our wireless security cameras eliminate messy cabling and make installation easy. In addition, our high-definition security cameras can capture facial features, license plates, and see in the dark up to 30m. You can even check on your property remotely from anywhere in the world with your smartphone and a Swann app. Additionally, Swann has cameras with True Detect™ heat- and motion-detection and the ability to generate push notifications and video recording when the camera detects activity. Using heat-sensor technology versus only motion detection means fewer false triggers and more reliable notifications. 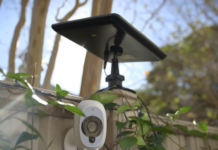 This combination can help prevent burglaries while also capturing and recording valuable video evidence most efficiently. How do I choose between wire-free cameras or wired system? First, decide how many cameras you need and where you need them, try analysing potential break-in points around your home. 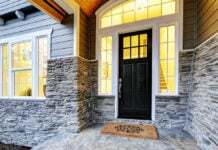 Take a look at your home from the road and consider all of the potential points of entry. 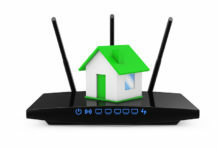 Next, consider whether you want to install a system that connects to your home’s Wi-Fi network or not, including the distance from your router and how many devices will be connected. Do you want a system that is hardwired into your home, or totally wire-free cameras? Hard-wired security systems give you more recording features. For example, if you’re concerned about a specific area of your property, you can set parameters to include or exclude certain areas from your camera’s view. All of these features provide you with reliable, affordable, and user-friendly home security. Also, wired cameras can offer a more stable signal at times. 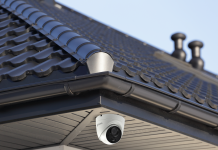 Installing a home security system with cameras allows you to take proactive steps to protect your family, home, and valuables before anything happens. Not only does a visible security presence at your home mean that you may be less likely to be broken into, but it also gives you peace of mind. Having a home security system isn’t the only action you can take to protect your home and family from intruders. A few easy steps can potentially make your home less attractive to burglars. It’s difficult for a burglar to steal what they can’t see. Don’t tempt would-be burglars. It’s advisable to keep valuables hidden and your blinds closed when you leave your home. Or if you’re expecting a package, ask a neighbour to collect it for you to decrease the risk of theft and so it doesn’t look like you’re not home. 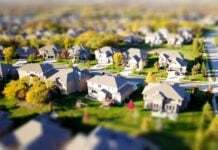 While seemingly minor, these tips may help keep your property safe. 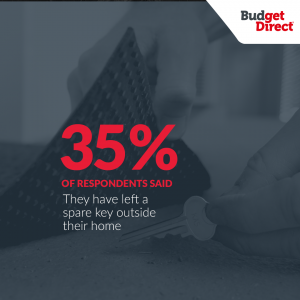 Are you among the 35% of Australians who leaves a spare key outside their home? If so, it’s time to rethink the idea of hiding a key under a flower pot or somewhere outside your home. This is a common practice, so it’s often one of the first things that a potential intruder will look for. 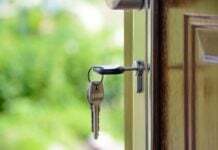 Don’t make it easy for them to enter your home by leaving a key for them. And, be aware of potential hiding spots on your property. You may not realise that you are creating the ideal blind spot outside of your home with poor lighting. Investing in simple outdoor lighting, including sensor lights, can sometimes be enough to help prevent a home break-in. You may not realise it, but you have strong allies in the fight against burglary – your neighbours. When you get to know the people who live near you, you can look out for their homes while they keep an eye on yours. 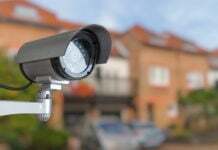 Watchful eyes can be very helpful against home invasions and theft. After you get to know your neighbours, consider taking your safety efforts a step further by creating a neighbourhood watch program. Together, you and your neighbours can arrange for community meetings and nightly patrols. Your best efforts sometimes aren’t enough to prevent a break-in. Home or renter’s insurance can make sure that you’re prepared if something does happen. Budget Direct Home Insurance offers a number of options that protect your home and belongings from burglaries, fire, storm damage, and more. The act of obtaining insurance is another great way to protect you from the unthinkable. By following these easy home security tips, you can feel confident that you have taken proactive steps to reduce your risk of being a victim of a home break-in. We recommend taking a proactive approach regardless of if you’re going on holiday, especially if everyone in your home is gone during the day. Nothing can compare to the peace of mind that you have when you know that you’ve protected your home, property, and family. Learn more about Swann’s user-friendly home security systems today! 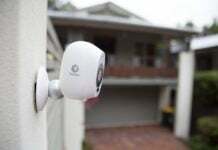 Next articleCompare – Which Type of Security System is Right for You?